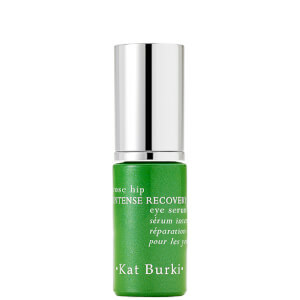 Kat Burki utilizes her disciplined training in Nutrition, her early career as a Healthcare attorney, and her passion for health and well being to deliver the most effective formulations for the skin. One of the main ways is through Cold Processing technology and cutting-edge nutritional research. Once in the beauty industry, she used this early training to create a nutrition based beauty brand that challenged the status quo in order to help you discover your skin’s potential. 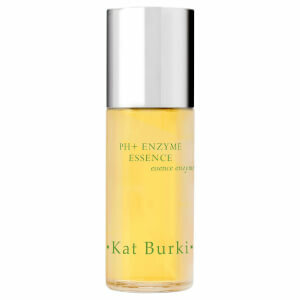 Kat Burki products are formulated with Cold Processed nutrient-dense formulas, skin identical and cell communicating ingredients, powerful antioxidants, amino acids and neuropeptides to ensure optimum results. Kat Burki implemented the first ever certified Cold Processing Technology as a way to ensure that all of the vital ingredients and antioxidants in every formula to retain their maximum efficacy for paramount results. Borrowing from cutting-edge nutritional research and an understanding of the degrading effects that over-processing can have on the ingredients and antioxidants in our foods, the company began a certified method of Cold-Processing formulations to ensure paramount vitality from their skincare products. The brand formulates with careful ingredient combining, with an understanding of the important relationship ingredients have on one another. Super nutrient complexes are created through strengthening relationships between two ingredients, meaning that the potency of each individual ingredient creates a ‘Super Ingredient’. Vitamin therapy, antioxidants and cell-communicating ingredients including Plant Stem Cells and Silk Amino Acids are combined to create unique nutrient dense super formulations with an instant impact and continual anti-aging benefits. This means that there is no need for ‘filler ingredients’ such as water, instead Kat Burki’s trademarked signature KB5 is used. This acts as an anti-inflammatory base to improve the sin’s elasticity, stimulate collagen production and increase microcirculation whilst acting as an antibacterial and strengthening capillary wall. The end results are products with the highest level of efficacy and skin that is healthy, repaired and from free radical, oxidative and environmental damage. This pioneering pressed serum is a fountain of youth in a bottle. Utilizing the super-nutrient complexes this product is formulated to heal the skin from the aging process through its vitamin B intense formula and neuropeptides which provide a protective layer to keep skin cells repaired and renewed and shielded from future environmental toxins. These ingredient repair reverse damage whilst detoxing and protecting from harmful aggressors which create skin inflammation and break down. The antioxidant Astaxanthin, which creates the nutrient rich base gives this formula its orange appearance and heals skin from the deepest layers. Shop now for a youthful healthy radiance. This cleansing balm will repair, renew and illuminate your skin using a reparative combination of Vitamin C, Camu Camu berry, Gotu Kola as well as seven reparative Bio-Processed Oils: Sunflower, Coconut, Jojoba, Rose Hip Seed, Avocado, Olive, and Cranberry Seed. This complex combination of natural ingredients will help repair the signs of aging and actively nourish the skin for a glowing youthful complexion.